Two houses being sold together on the same lot. Seller is selling the 2 bedroom, 1 bath doublewide along with the building behind that was once a church but turned into a residence. Front house comes with an open living and dining plus efficient kitchen, along with 2 nice size bedrooms with full hall bath. Building behind needs some tender loving care but has possibilities if you want to put in the effort. Home is not in the floodplain and located on a quit street. 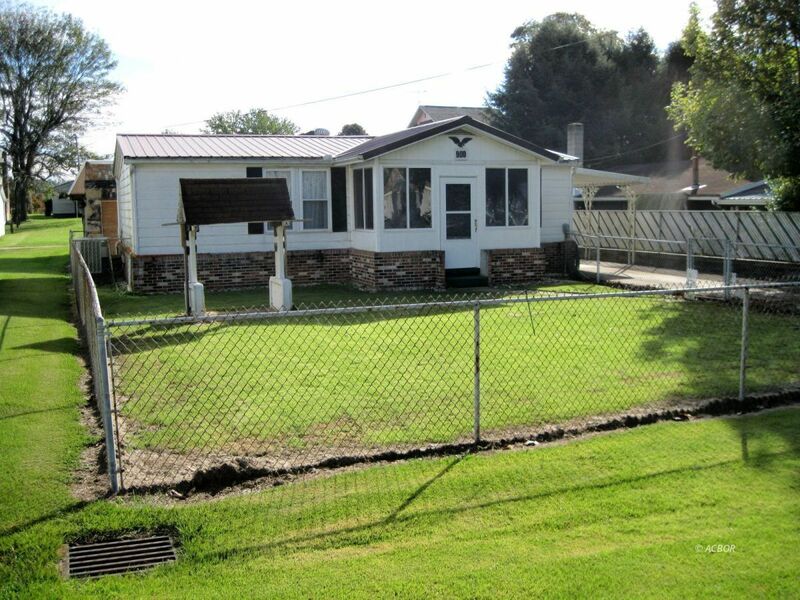 Property has fenced yard and ready for your ideas.